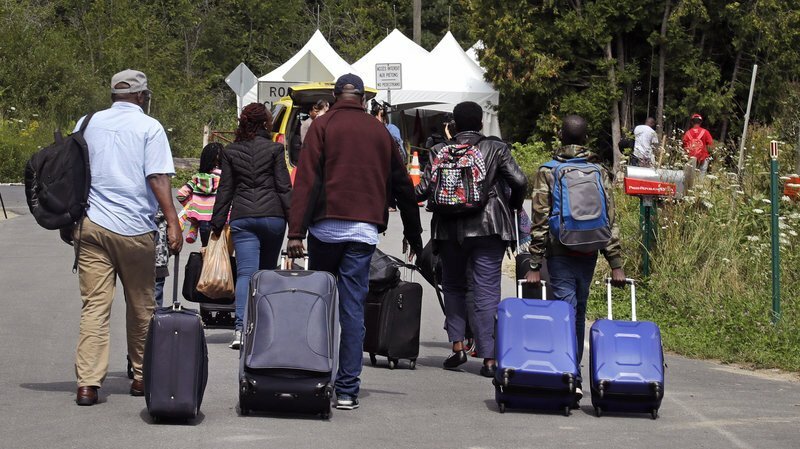 A large number of U.S. citizens sought asylum in Canada in 2017, with about 80 to 85 per cent being of Haitian descent, according to new data from Canadian immigration officials. A total 2,550 Americans applied for asylum in Canada in 2017, more than six times as many as 2016 and the highest number since Citizenship and Immigration Canada began tracking the data in 1994, news site The Guardian reported. In November 2017, the Trump administration announced that it was ending a humanitarian programme that enabled some 59,000 Haitians to live and work in the United States since the 2010 earthquake that ravaged their country. The programme made Haiti one of the largest group of foreigners with temporary status. About 320,000 people now benefit from the TPS programme, which was signed into law by President George Bush in 1990.